South Devon College is delighted to have successfully completed the first levy transfer between the NHS and Glendevon Medical Practice. Melissa Oswin, a senior healthcare support worker was able to progress on her apprenticeship due to funding from the NHS levy. 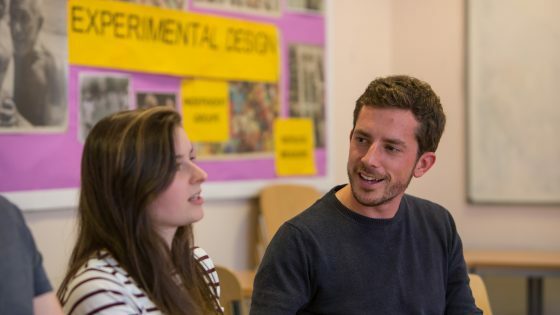 The College’s dedicated employer engagement team were able to provide help and advice to both parties on how to carry out the transfer; as well as detailed support with the digital apprenticeship service and enrolment procedures. Will Moyle – Operations Manager at Teign Estuary Medical Group said, “The Apprenticeship Levy has enabled us to take on a new apprentice who is back-filling a role within our team while another member is undertaking their ‘Return to Practice Nursing’ degree. 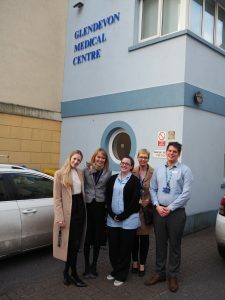 Suzanne Hubbard – Apprenticeship and Widening Participation Manager for Torbay and South Devon NHS Foundation Trust said, “Torbay and South Devon NHS Foundation Trust are delighted to be able to share some of our Levy with local organisations such as GP surgeries and dental surgeries. Transferring funds from the Levy enables full training costs to be covered for an employee, giving the recipient organisation a competent, fully skilled and qualified member of staff. For more information on the apprenticeship levy please email [email protected] or call 08000 380 123. Watch this space for a full list of events for National Apprenticeships Week taking place 4th-8th March at South Devon College.